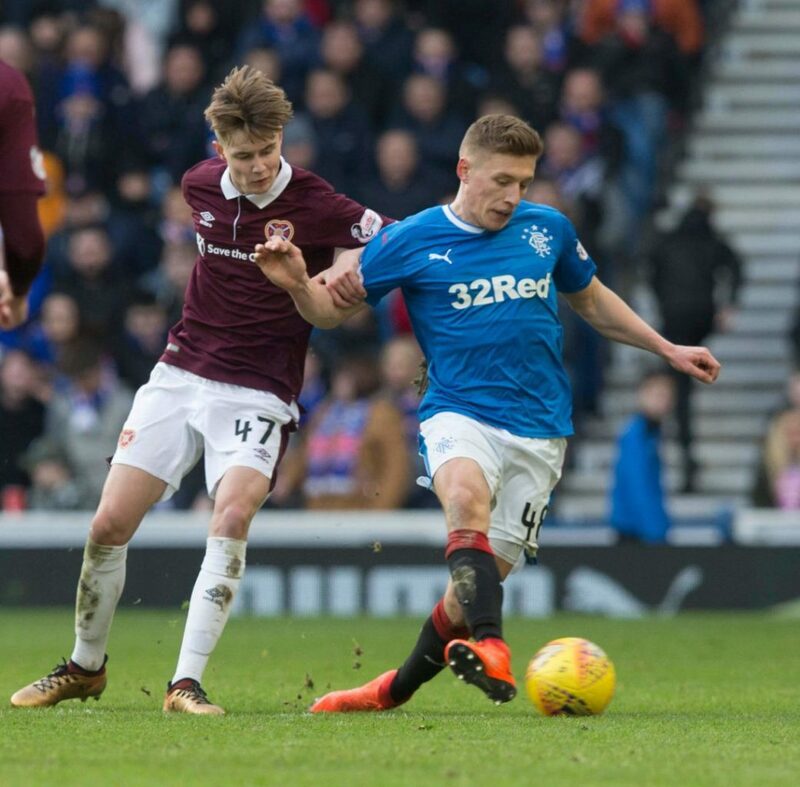 Following on from the breaking news of a week or so ago where it was claimed by a number of media outlets that Greg Docherty was to go out on loan, it has rather quietened down where the ex-Hamilton man is concerned. Indeed, his presence on the bench for Thursday night’s UEL clash v Osijek actually suggested little has changed for the holding midfielder, although the introduction of Ross McCrorie on 78 minutes rather than Docherty shows he remains low priority in Steven Gerrard’s eyes. Is Docherty leaving or not? Sunderland were credited with interest in him, but manager Jack Ross disputed this and while not explicitly saying he didn’t want the combative player, did state said position was not a priority. Meanwhile as we reported last night, defender Fabio Cardoso does appear to be moving on. Told weeks ago he had no future under Steven Gerrard, the 24-year old was linked with Portuguese side Estoril in the January window, but it went quiet for him since and the dreaded words ‘mutual consent’ appear to be readying themselves. Which also appears to be the case for Northern Irish right back Lee Hodson. Reported to be leaving some days ago, he remains a Rangers player, albeit was omitted from the UEL squad to fly to Croatia. His future in Govan looks bleak and it’s presumably a case of getting the paperwork sorted. Then there’s our Josh. With a clutch of English clubs seeking his signature, Rangers have been reportedly seeking a £3M fee for his services, and manager Gerrard did cut him out his XI for the first time in Croatia. Whether that one will happen we’ll see. Last but not least, Kean Bryan’s deal to switch to Rangers has reportedly fallen through. The Man City defender came up to the HTC for a medical, but following its outcome Rangers apparently pulled out – the search for a third defender appears to be going on. did smeltic not start limiting our tickets ? The only dialouge in return should read, we can sell all our tickets can u! they said they idnae need us well we certainly don't need them to fill the BIG HOOSE. I would punt wee doc, halliday, jack, windass, candieas, morelos, hodgson and tav between now and january as i feel they are not needed.I would look to replace them with some of the names being mentioned,ie.croation lad, steven davis, moult, maine, brophy, cadden, jones, and calum paterson. ps. the other 2 osijek front men looked useful? 4. Windass ...Sell! Sell! Sell! 5. I have been saying it for at least the last year ...Tosin Adarabioyo! should we contemplate a return for barrie mc kay given that kent and others will return to their clubs? Q. should gerrard register and lead us 2nd sep? whit a boost for the other players that day. should gerrard do a souness and offer 3m for mc ginn, the worst that can happen surely is they hiv tae up the ante. YUUUP! MA put in a serious offer or dont f****** bother! Celtic and the SFA, 1005 deserved what happened to them. For me, the SFA is STILL a rats den of Hibs/Celtic, anti-Rangers, bitter greens. It hasn't changed. No blue men in there and if there was, he'd be out-voted on everything. Never mind McGinn and get Windass and Morelos, sold.